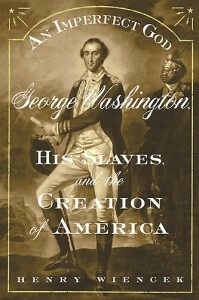 When George Washington wrote his will, he made the startling decision to set his slaves free; earlier he had said that holding slaves was his “only unavoidable subject of regret.” In this groundbreaking work, Henry Wiencek explores the founding father’s engagement with slavery at every stage of his life–as a Virginia planter, soldier, politician, president and statesman. Washington was born and raised among blacks and mixed-race people; he and his wife had blood ties to the slave community. Yet as a young man he bought and sold slaves without scruple, even raffled off children to collect debts (an incident ignored by earlier biographers). Then, on the Revolutionary battlefields where he commanded both black and white troops, Washington’s attitudes began to change. He and the other framers enshrined slavery in the Constitution, but, Wiencek shows, even before he became president Washington had begun to see the system’s evil. Wiencek’s revelatory narrative, based on a meticulous examination of private papers, court records, and the voluminous Washington archives, documents for the first time the moral transformation culminating in Washington’s determination to emancipate his slaves. He acted too late to keep the new republic from perpetuating slavery, but his repentance was genuine. And it was perhaps related to the possibility–as the oral history of Mount Vernon’s slave descendants has long asserted–that a slave named West Ford was the son of George and a woman named Venus; Wiencek has new evidence that this could indeed have been true.